Description: Many imagine the settlement of the American West as signaled by the dust of the wagon train or the whistle of a locomotive. 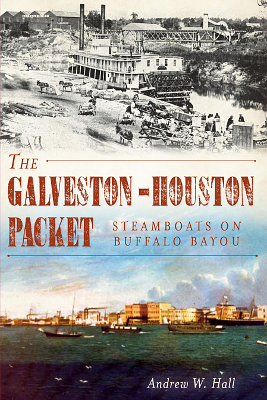 During the middle decades of the nineteenth century, though, the growth of Texas and points west centered on the seventy-mile water route between Galveston and Houston. This single vital link stood between the agricultural riches of the interior and the mercantile enterprises of the coast, with a round of operations that was as sophisticated and efficient as that of any large transport network today. 144 pages. Viewed: 5,224 times since October 11, 2012.